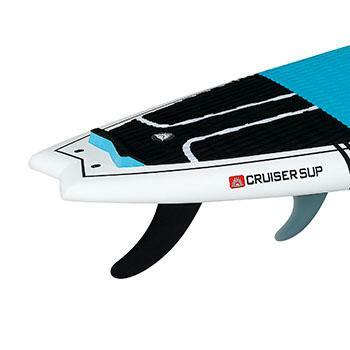 The Cruiser All-Terrain Ultra-Lite Wood/Carbon is designed to offer high performance Stand Up Paddleboarding (SUP) in all conditions, from flatwater to surf. It is based upon the Cruiser All-Wave, but offers longer, higher volume sizes for a better flatwater paddling experience. 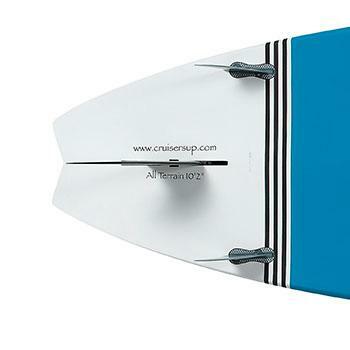 The Cruiser SUP All-Terrain offers ease of use paired with high performance Stand Up Paddleboarding to intermediate and expert users in small to medium ocean surf. 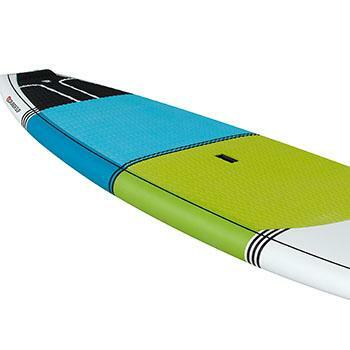 Thanks to additional volume and refined rocker, it performs better than its surfing counterpart, the Cruiser SUP All-Wave, in flatwater conditions. The All-Terrain is available in 7'11" to 11'4", and weighs as little as 18.5 pounds. 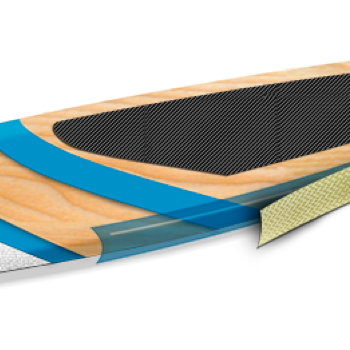 Cruiser SUP's Ultra-Lite Wood/Carbon construction offers the lightest weight, highest performing boards, that best suit the needs of today's users. The construction features thin layers of wood veneer, sandwiched between layers of epoxy and fiberglass. The rails are wrapped in visible carbon. 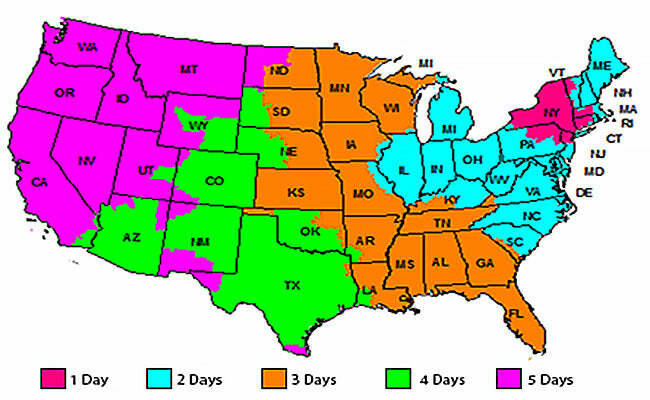 The end result is the lightest and strongest skin over a water-tight, closed-cell EPS core. The All-Terrain 9'5" to 11'4" comes with a total of three fins, (five fin boxes for 7'11" to 8'10") allowing you to customize your board according to your preferences. This versatility, paired with the great looks, and light-weight nature of the All-Terrain make it ideal for today's stand up paddler. Width: 30" 30.5" 31" 31" 31" 31.5" 33.5"
Thickness: 4.25" 4.25" 4.25" 4.5" 4.5" 4.5" 5"
Side: 4 FCS Center: 6.5"
Side: 4 FCS Center: 8"
Side: 2 FCSII Center: 9"
Side: 2 FCS II Center: 9" & 8"
Cruiser Ultra-Lite All Terrain and All Wave boards offers a class leading "tough", high quality bamboo construction. Tough: In addition to three layers of 4oz. fiberglass on top and 4oz/6oz layers on bottom, (5 layers of fiberglass wrapping the rails), there is full-length .5mm real bamboo veneer reinforcement (stronger than fiberglass) sandwiched between the first and second fiberglass layers on top and bottom. Carbon reinforcement in the standing area to prevent heel dents. Kevlar cloth is added to the rails, nose and tail for extra ding resistance. The quality CNC shaped 20kg EPS core is strong to prevent heel dents and dings. 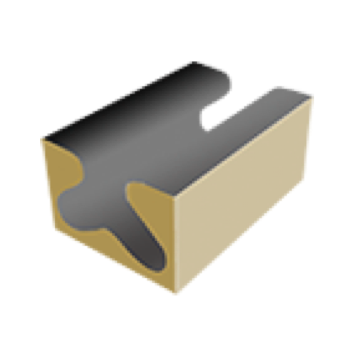 This combination is vacuum bagged for extra strength, impact resistance and lighter weight. The boards are painted in matte finish for improved performance and custom look. The result is a strong and durable premium construction. Soft: Cruiser Ultra-Lite All Wave and All Terrain now offer 2/3 length high quality, plush EVA foam coverage for a soft, comfortable touch. With 4.5mm non-slip 'diamond" texture EVA foam, tail kick and toe ramp in the black tail piece. Premium quality diamond groove traction pad in the standing area for ultimate grip and control. Efficient toolless system for quick fin installation and release. Fins can be easily inserted and removed in seconds, allowing you to adapt your equipment to the conditions both on land or in the water. Arch ridge and tail kick supply total control and comfort for surfing. These are awesome paddle boards. We have 3 different sizes for me, wife, and daughter and all of us are extremely happy with the quality and performance of the boards. We would definitely recommend to others. Great experience. Glen was extremely helpful. He Answered many questions that helped me make my final decision. Love my board. It is light enough for me to manage and easy to paddle. I would purchase from them again. I live near the Gulf in Redington Shores, FL so I've used my paddle board in the gulf and the inter-coastal. I discovered that paddle boarding in the gulf is way more fun because you don't have to dodge boats and excessive waves from boat wakes and the gulf water is much more beautiful. I work but have managed to get out on the paddle board at least once a weekend. When I'm out on my paddleboard, it's absolute heaven to lay down to soak up the sun, feel the gentle rolling of the gulf and watch the dolphins show off next to the board. Yes, I love my new paddle board.